It’s the penultimate game of the World Cup, a clash that nobody wants to be in, as Brazil and the Netherlands play in the third-place match, live on CBC TV and streaming at cbc.ca/fifaworldcup Saturday at 3:30 p.m. ET. This is it. 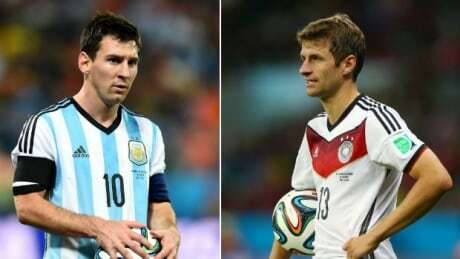 After one month and 63 matches, Germany and Argentina will fight for the right to lift the World Cup at the Maracana in Brazil, live on CBC TV and cbc.ca/fifaworldcup starting at 3 p.m. ET. 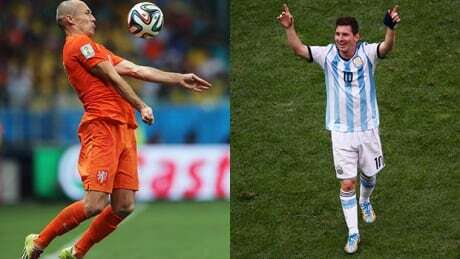 Two teams with different styles meet in today's FIFA World Cup semifinal as the Netherlands faces Argentina for the right to play Germany in the title match. 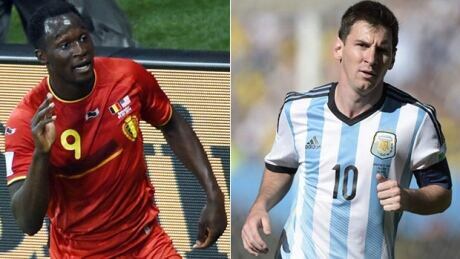 Coverage begins on CBC and CBC.ca/FIFAWorldCup at 3:30 p.m. ET. 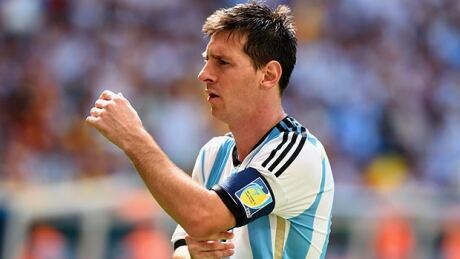 Two teams with different styles meet in Wednesday's FIFA World Cup semifinal, as the Netherlands face Argentina. Coverage begins on CBC at 3:30 p.m. ET. With star striker Neymar sidelined, Brazil will attempt to advance to its first World Cup final in 12 years when it takes on Germany in the semifinals. Coverage begins at 3:30 p.m. ET on CBC and CBC.ca/FIFAWorldCup. If Belgium is to advance to the semifinals, it will need to find away to contain Argentina star Lionel Messi in the quarter-final match on Saturday. Coverage begins at 11:30 a.m. ET on CBC and CBC.ca/FIFAWorldCup. The Netherlands, perennial favourites, clash with World Cup surprises Costa Rica — the surprise darlings of this year's World Cup. With both teams coming off challenging round of 16 matches, Germany and France hope to return to their best form in their quarter-final matchup at the FIFA World Cup. Coverage begins at 11:30 a.m. ET on CBC and CBC.ca/FIFAWorldCup. Brazil was lucky to get past Chile. 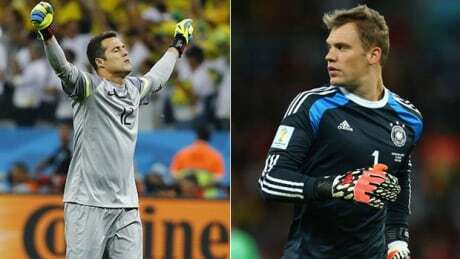 They’ll have to rely on much more than goal posts to get past a surging Colombia, who has yet to lose. Coverage begins at 3:30 ET on CBC. 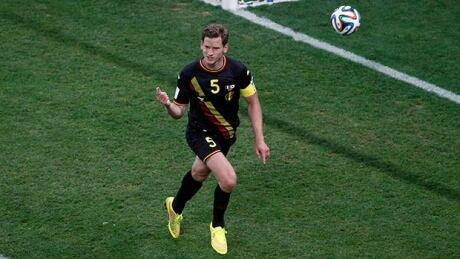 Belgium looks to continue its winning ways against the U.S. when the two soccer nations battle in the knockout stage on Tuesday. Coverage begins at 3:30 p.m. ET on CBC. You are currently browsing the archives for the Sports/Soccer/FIFA World Cup 2014/Sponsored – Pre Game category.